The house’s newest series will transport you straight to the heart of Candyland. 10 playful models showcase a total of 60 vibrant colours. Tiny candies can be seen embellishing the Fruit line, while four two-tone ceramic cases as well as decoration adorn the four timepieces in the Sweets line. The former also boasts a ‘sugar coating’ effect, which was achieved using powdered enamel and fine sand used in hourglasses. A pièce de résistance in its truest sense, this artistic and architectural marvel is a 33-piece limited edition – of which the first 11 are in platinum. 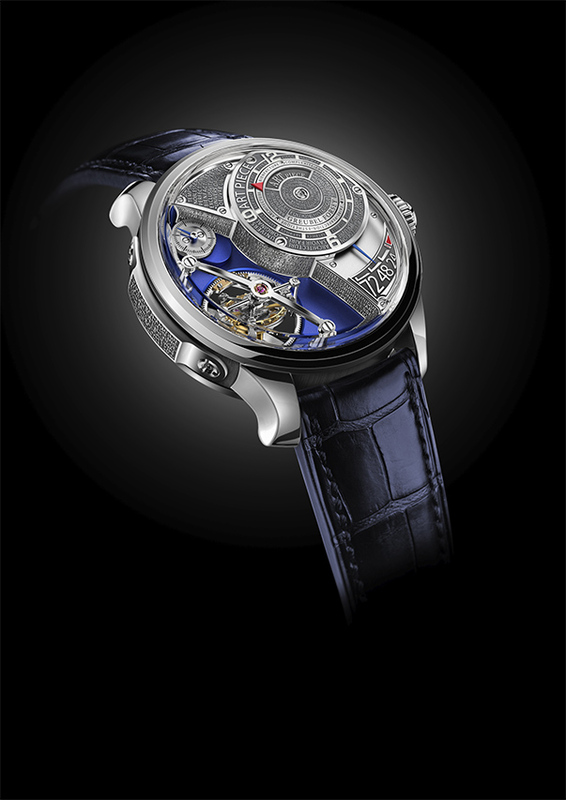 Looking closely at the multilevel construction of this dial, what is bound to catch your fancy is the Double Tourbillon 30° set against a royal blue backdrop and the offset hours/minutes subdial at 2 o’clock which has been replaced with a titanium dome highlighting a hand-punched background entirely engraved with the finely polished Greubel Forsey key values. The lack of logo, indices and hands on the dial might take you by surprise, because to tell the time on this watch, you have to use your ears! 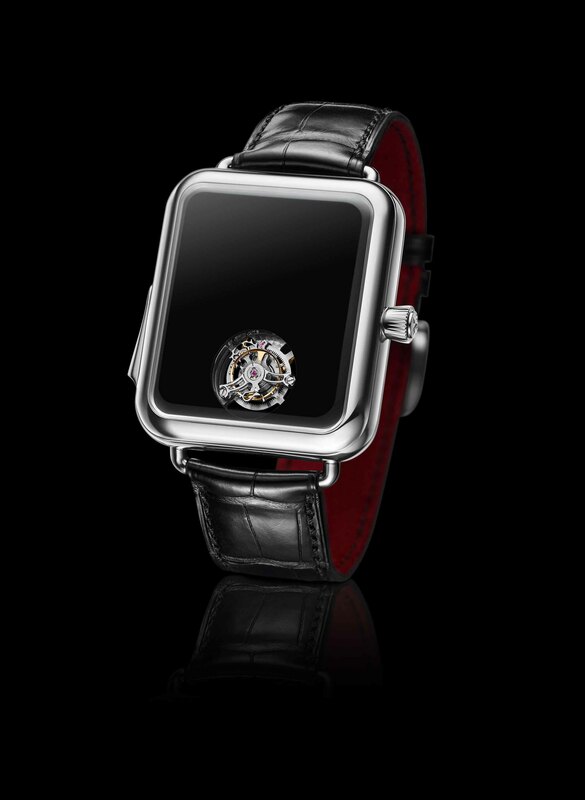 One of the most minimalist designs, the glossy black dial is home to a one-minute flying tourbillon at 6 o’clock, and tells time by way of little chimes and gongs for hours, quarter hours, and minutes. Time is discreetly set with adjustments made via the crown, an engraved marking which allows the time to be corrected using a graduation, appearing only when the crown is pulled out. 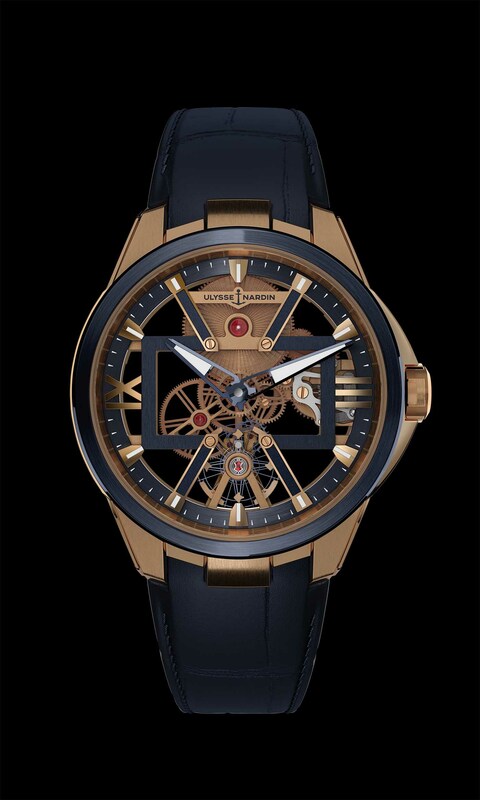 An X-ray interpretation of the future of watchmaking, the three-dimensional heart beating inside this breathtaking watch leaves nothing to the imagination. Distinctly visible on the inside of each of the four different satin-finish versions is one of the most brilliant innovations of the timepiece’s precursor, the FREAK VISION: a super-light balance wheel in silicium, extra-wide, with nickel flyweights and stabilizing micro-blades. 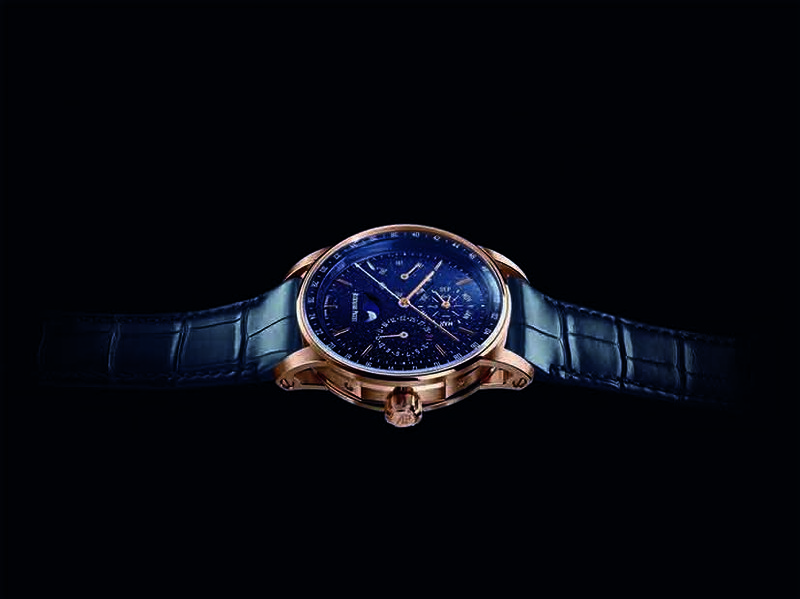 Reminiscent of a star-lit sky, the dial flaunts starry particles which resonate with the moon indication at 6 o’clock. A photographic image of the moon is reproduced through laser engraving and applied onto an aventurine disc which subtly ties to the design of the dial. The astronomical moon serves to diminish the daily display error – a function owing to which adjustment is required only once every 122 years and 108 days!